The house has three bedrooms: a double at each end of the ground floor and a twin on the first floor, although guests should note this is up a steep flight of stairs. All beds have Egyptian cotton sheets and duvets with extra-comfortable mattresses and the double beds are larger-than-average continental queen size beds (160cms). The Master Bedroom is en-suite, with an overhead shower as well as a bath to relax in. There is a second shower room downstairs, which has a wet-room style shower, basin and toilet. 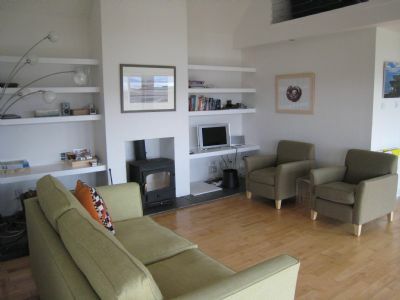 The open plan living and dining area has beautifully light maple wood flooring, a wood-burning stove, Freesat Smart TV, a BOSE sound dock and wireless internet. The dining table can comfortably seat up to eight people. The main sitting area has a very spacious feel thanks to the high ceilings, whilst the dining area is cosier with a small gallery over it. 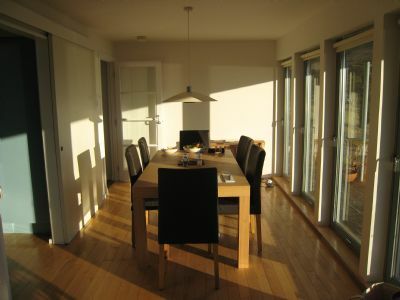 The floor to ceiling glass doors allow constant views of across the Sound of Sleat to the Knoydart Peninsular and open out onto a long deck and the garden, perfect for relaxing on Skye’s sunny days or for stargazing at night. Although small the kitchen is fully stocked for keen cooks with all appliances, pans and utensils. 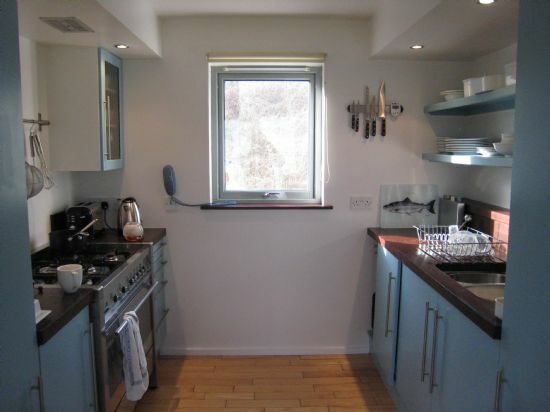 There is a large SMEG gas hob and electric oven, a fridge/freezer and a dishwasher. A microwave is separately located in the hall utility cupboard. The entrance hall has plenty of hanging space for jackets and coats. There is also a washer/dryer in the hall cupboard. The house comes with a supply of firewood. 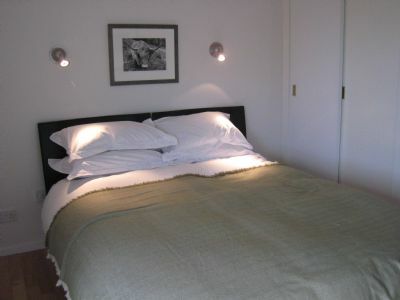 Sheets, duvets and towels are all included, as are electricity charges. There is a phone which you may use for local calls. Users should note the house is not suitable for children under 5 for safety reasons. We regret that no pets are allowed.